The dog days of summer are upon us and what a hot, dry summer it has been. It may be too hot to spend much time outside, but planning your fall vegetable garden and flower beds can be done inside where the air conditioning awaits! The beginning of August is the perfect time to start planning and stocking up on necessities. Start stocking up on mulch and fertilizer, pick out what varieties you want to plant, and make sure your tools are sharpened. Pick up a copy of the Louisiana Vegetable Planting Guide from your local LSU AgCenter office to learn about varieties that do well in our climate, fertilizer requirements, and planting dates. Fall crops do not usually have heavy insect pressure like spring and summer crops but you may want to stock up on a few necessities like Bt (Bacillus thuringiensis) to control caterpillars and malathion for aphids. Take a look around your landscape and plan where you want to plant new trees or shrubs. Fall is the best time to plant trees and shrubs. If you take a few moments now to plan what you want, you won’t make impulse buys when the time comes to plant. You will also have ample time to shop for the healthiest plants. Lately, I have been learning about different LSU AgCenter Super Plants and the Camelot Foxglove has taken my fancy. Foxgloves are a cool season bedding plant which means they perform best in early spring and play out in May when the heat sets in. The Camelot variety is especially popular because the flowers on its long spikes are held more horizontally, allowing you to better see their speckled throats. 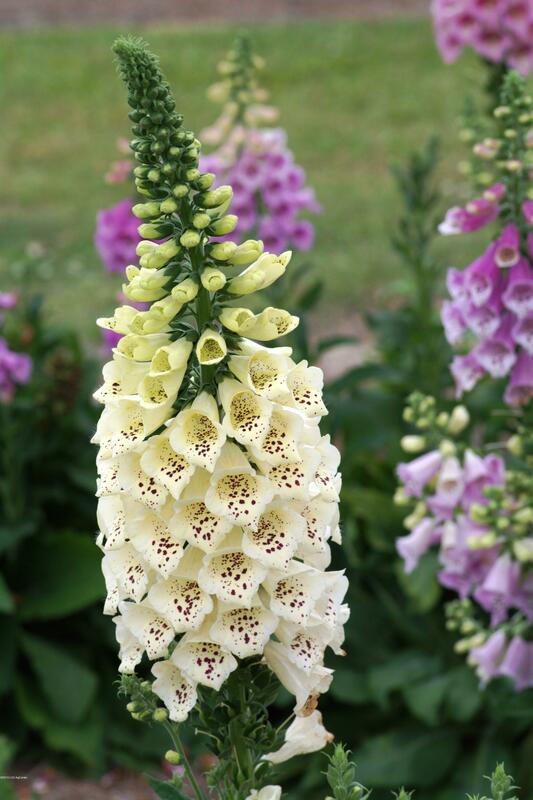 Foxgloves are deer resistant and would make an excellent choice for planting in the Florida Parishes this fall. They will grow to around 36” tall and 12” wide. Rose, Lavender, and Cream are recommended for best results. Plant Camelot transplants in October or November in a bed amended with organic matter or compost. Fertilize them lightly at planting and again in the spring. They will do well in full sun or part shade. If you plant them in the fall you will have a big, beautiful display in the spring! Remove old flowers as they die to extend the bloom time on these plants. Happy planting!